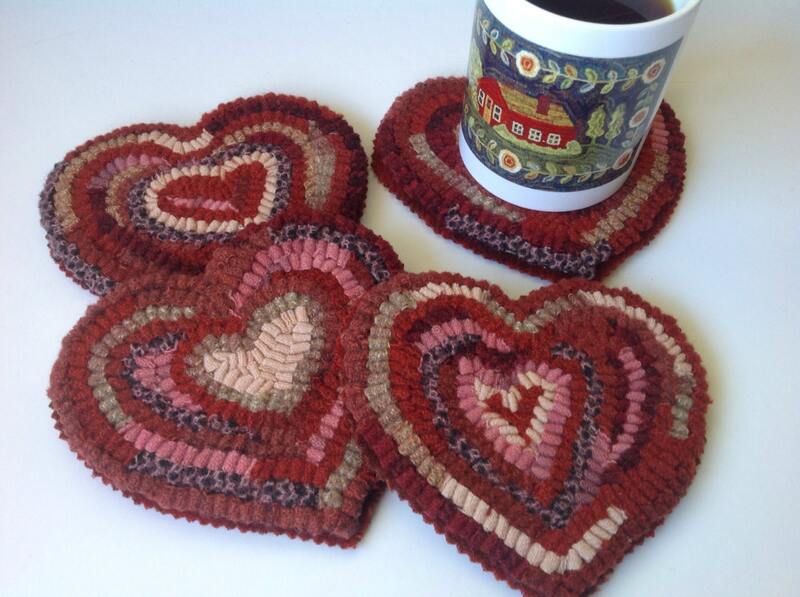 This listing is for the rug hooking pattern "Heart Mug Rugs" on your choice of cotton monks cloth or primitive linen. This is for the PATTERN ONLY, not the finished mats. You will receive a 4 x 6 photo with purchase along with instructions on how to finish them after hooking. It does not include instructions on how to hook. 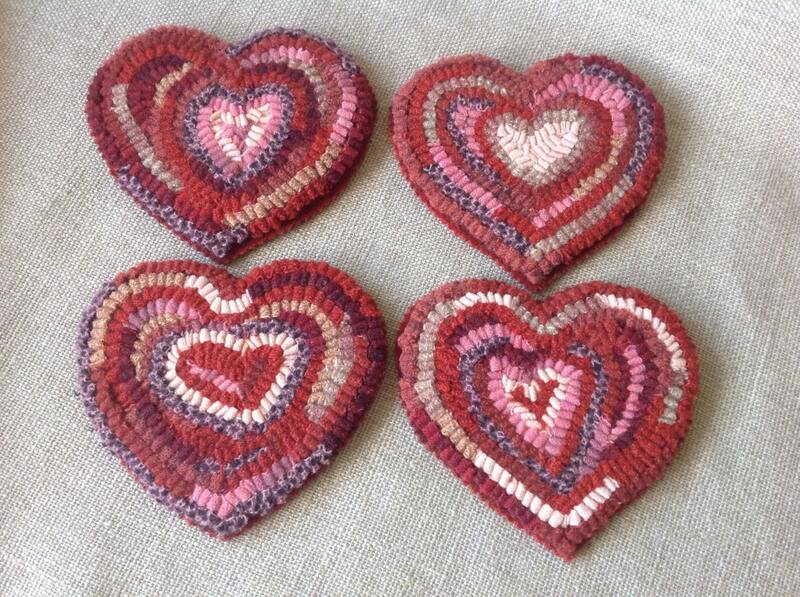 Each of these four hearts measure approximately 5" x 5-1/2". 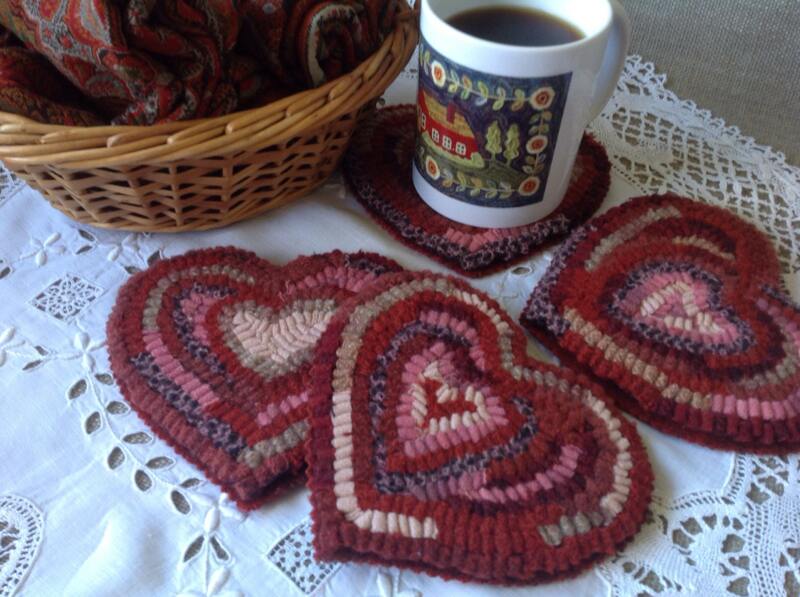 I hand draw the four hearts on a 20" x 20" piece of backing fabric choice of backing fabric making it fit on most rug hooking lap frames or in a sturdy 14" hoop. 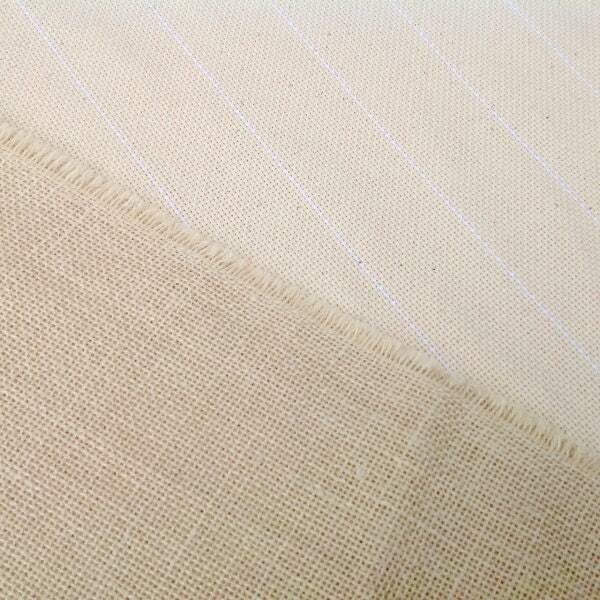 The edges of the backing fabric have been serged to prevent raveling while hooking. The finished samples in the photos give you an idea of how I hooked them. I searched through my stash basket and chose my favorite valentine colors. They would be equally sweet in pastels, country primitives or colors to match your decor. This pattern is such a fun small project that hooks up quickly. It would make an ideal hostess gift. Have a stack ready for holding that cup of coffee, tea or cocoa. This is my first project of this type so it is perfect. The shipping was fast and the communication was great! Shipped quickly, love the prim look !!! Hooking them at this time. Love these stars and hearts. Now it's wait for the wool so I can start! Beautiful, just as described, and arrived FAST! Wonder seller with great communication and help! I made these and they are so cute!! !